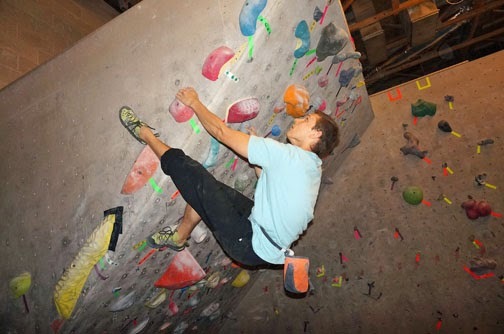 The Red Rock Climbing Center offers both top-rope and lead climbing on over 8,000 square feet of textured climbing terrain that includes roofs, buttresses, dihedrals, caves and gymnastic floor padding. The RRCC also offers over 1,000 square feet of radical overhangs and roof routes designed to tempt, taunt, and challenge climbers. Rock climbing does involve some risk. Participants are informed of such risks involved in rock climbing therefore RRCC requires that anyone climbing must have a signed waiver. Memberships for adult $65/mo and student $55/mo. Day climb pass is $15 for adults and $10 for kids. Personal Trainer / Private Lessons - $50.00 per hour. One-on-one private lessons to meet your personal needs. Corporate Team Building, kids' birthday party also available.